This is a great mini fridge. It has a light. That makes it even better. I bought it for my bedroom. I put my water bottles and juices in it. It keeps them good and cold. And it is right beside my bed. It is very quiet. Love it. Good investment. 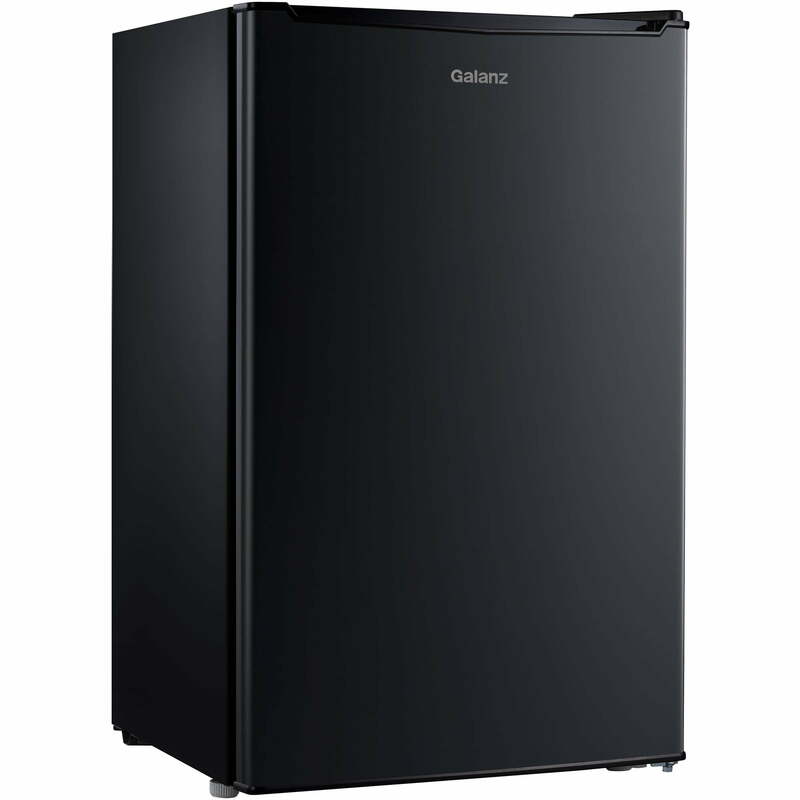 Tbook.com crawls the web to find the best prices and availability on products like Galanz 3.5 cu ft Compact Single-Door Refrigerator, Black. This product is one of the more popular items we list which is why it is in our "hot deals" section. If you have any questions on this product, please give us a call at 734-971-1210 during the hours of 9am - 5pm EST for assistance. Thank you for shopping at Tbook.com, the Internet Department Store!